Assassin's Creed III: Liberation was released in 2012 for Vita and became one of the most ambitious games developed for this platform. A year after Ubisoft decided to port the project to PC, Xbox 360 and PS3. In our Assassin's Creed Liberation HD review we will try to find out, whether it was a good idea or not. PlayStation Vita is a handheld console, so it is something that you can put into a pocket and use while travelling or going to work. As any other portable console, it is small and not very powerful. That's why when Ubisoft released the part of its great franchise for Vita, the fans were in raptures. Liberation was one of the best actions for this portable console, so the gamers just forgave the developers several faults. Recently, Ubisoft has announced that it will correct the mistakes in the HD version of the project, but in fact, on the big screen all the defects are even more noticeable. 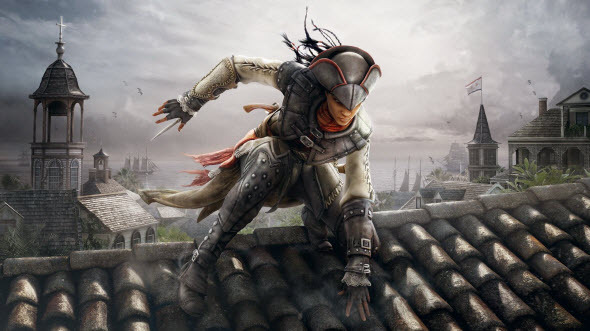 For those who haven't played the original Liberation we would like to remind that this game tells us about a female assassin - Aveline. The girl is a former slave, and she saw too much sorrow in her life, so now Aveline is a faithful advocate of all bondmen. Besides, she is exploring the open world of New Orleans, meeting lots of people and changing her clothes. It is worth to mention that missions for Assassin's Creed Liberation HD were originally created for Vita, and so all of them are rather short. The developers have added some new campaigns in the game, but still they are far from the ones from Assassin's Creed 4 or even Assassin's Creed 3. Moreover, during all missions you will be listening to numerous dialogues, which are not so qualitative as we wish them to be. Lots of your tasks are similar to each other, and the main thing that you will be doing here is shadowing. However, Liberation HD has lots of stealth elements that bring the series to its roots. 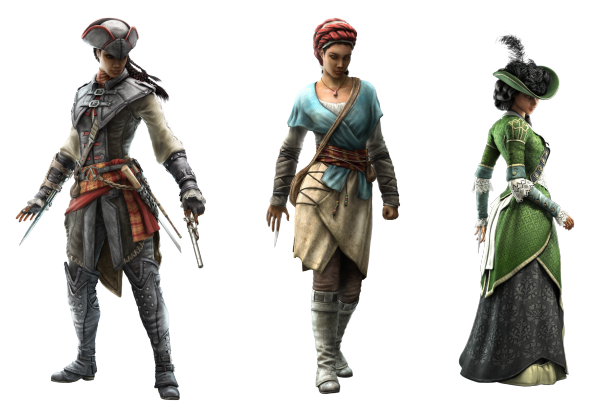 The main innovation that should be mentioned in our Assassin's Creed Liberation HD review touches the costumes of the heroine. To be more exact, the developers call them personas. 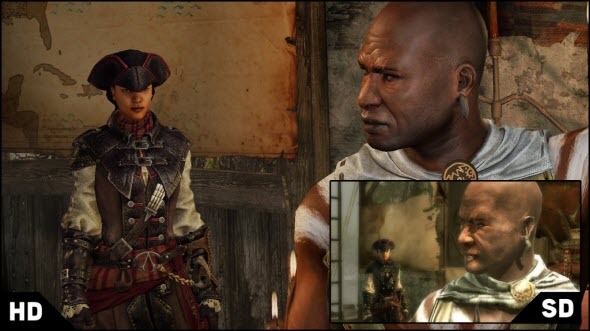 Aveline can be one of three various characters - Slave, Assassin and Lady. The most interesting persona is Lady, because in this likeness the girl doesn't have many weapons and is not able to climb the trees, but can use charm in her battle. 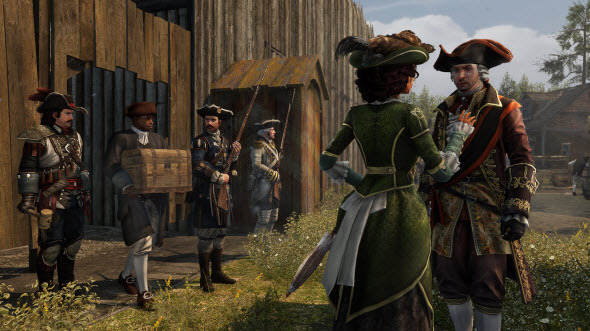 As Lady, Aveline can flirt with guard, take him to a secluded place and kill silently. Moreover, you can use any persona in every mission, so it seems that you have a choice and some variety while playing. The next thing that has been changed in the new game is the graphics. The developers have added an HD prefix to the project's name and tried to improve the animation and the characters. Aveline herself really looks a little bit prettier, but the animation could be better. Moreover, Assassin's Creed Liberation HD has a great problem with the details. On the pocket version of the game, it wasn't very noticeable, but on the big screen we see how poor the Liberation HD world is. It may seem that in our Assassin's Creed Liberation HD review we describe only the disadvantages of the game, but, frankly speaking, no one has waited something extraordinary from this project. Liberation HD costs much lower than other instalments in the series, and the developers have told us that it is just a port of the game for the handheld console. If you understand these conditions, you will obviously like the new story about the fantastic adventures of a female assassin. Assassin's Creed Liberation HD is a slightly upgraded version of an interesting game for the portable console. It doesn't look like the other big and ambitious instalments in this series, but still has several advantages - female protagonist, new locations, personas, updated graphics. However, the game's plot is rather flat, the world is not detailed, and the missions leave more to be desired. But still we are sure that Assassin's Creed Liberation HD is worth its price.